I simply adore the sweet Madison vest for my littlest and her best friend. Its perfect for a frolic in the park on a cool Autumn day. Recently my little one has taken to her big brother’s ignored stuffed bear. When I saw the Madison pattern I thought it would be so adorable on her little bear friend too. So Amira and I sewed up these sweet little bear vests for our little girls and took them for a picnic in the park! They were so sweet sharing their snacks with each other and their little stuffed animal friends! Good news now you can get the pattern pieces for this sweet and simple bear vest for free here! All you need to do is follow the Madison tutorial and use ¼” seam allowances throughout! 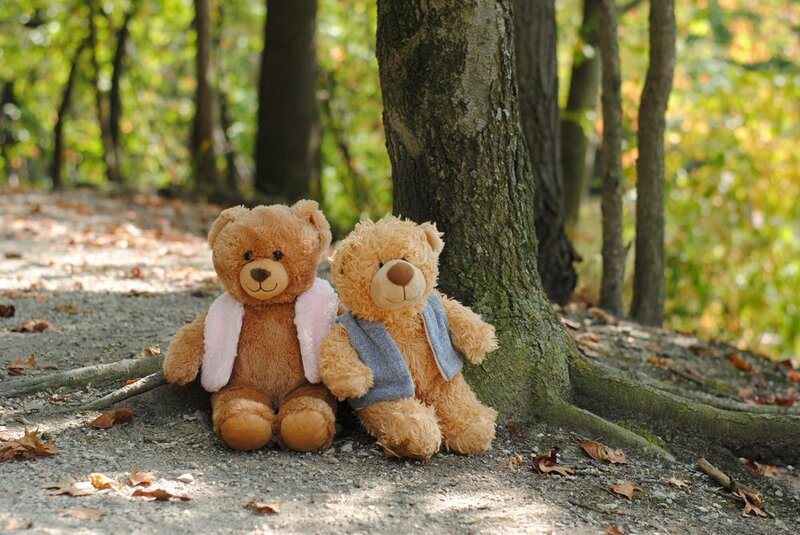 You will have a sweet little bear vest to match your little boy or girl! The bear I made it for was 15” tall and measured 14.5” around. Enjoy these sweet photos of our little girlies and their bears! Please share your creations in the Little Lizard King Facebook Group!